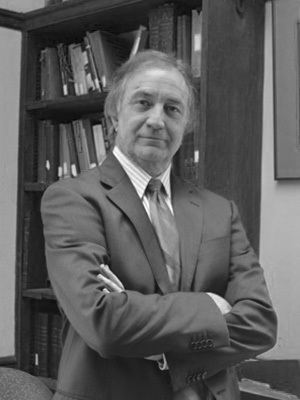 General Editor of the Yale Editions of the Private Papers of James Boswell speaks on "'I Have Seen the Valley of the Rubies': The Recovery and Publication of the Boswell Papers"
Since 1997, Gordon Turnbull has been General Editor of the Yale Editions of the Private Papers of James Boswell. A graduate of the Australian National University, he did his doctoral work at Yale, has taught in the Yale English Department and at Smith College, and has published and lectured widely on Johnson, Boswell, and their circle. His new edition of Boswell's London Journal 1762-1763, the first re-editing of this text since Frederick A. Pottle's worldwide bestseller of 1950, was published by Penguin Classics in 2010 and reprinted last year. To the twice-yearly Johnsonian Newsletter, he contributes a regular Boswell column, and crossword puzzles based entirely on Johnson's Dictionary of the English Language. The sensational twentieth-century discoveries of James Boswell's suppressed private diaries and other papers and their publication by the Yale Boswell Editions not only threw revisionary light on the world's best-known biography, Boswell's Life of Samuel Johnson (1791), but turned Boswell himself into a best-selling modern author, bringing him a remarkable second wave of fame. Its most recent outcome is the annual Boswell Book Festival, (http://www.boswellbookfestival.co.uk) inspired by his work, devoted to biography and memoir, and held each year at his ancestral family estate, Auchinleck, in Ayrshire. This talk surveys how Boswell's candid personal diaries, especially the London Journal 1762-1763 (first published 1950), caught and helped propel the wave of confessional autobiography, and through their publication by the Yale editions, actually expanded the definitions of 'literature' as an object of study.